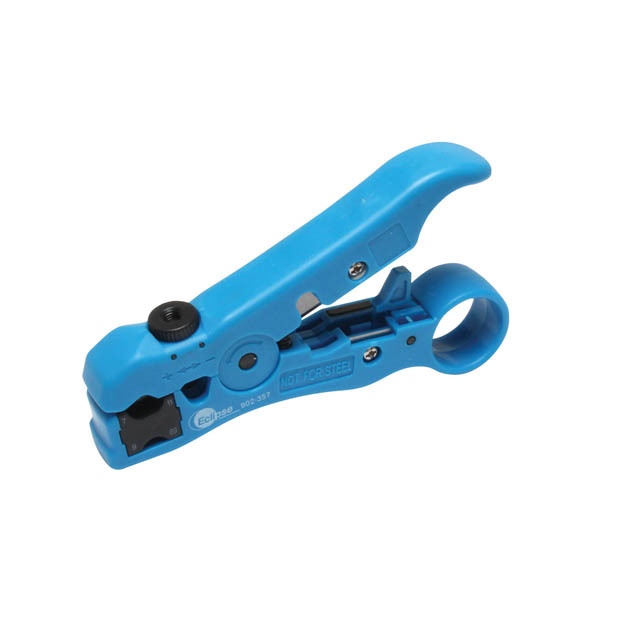 Strip flat wire and round cable with adjusting knob control to meet different cable sizes with built-in cable cutter function. Strips outer jacket of UTP and STP cable and CAT 5/6 round telephone cable; RG-59/6/11/7 coaxial cable and flat telpehone cable. Cable cutter function.